The regular red sweatshirt with round neck comes with a chest graphic. It has full sleeve and a ribbed body hem for improved fit. Wear them over fitted denim or easy joggers with canvas shoes to stay comfortable and trendy at the same time. 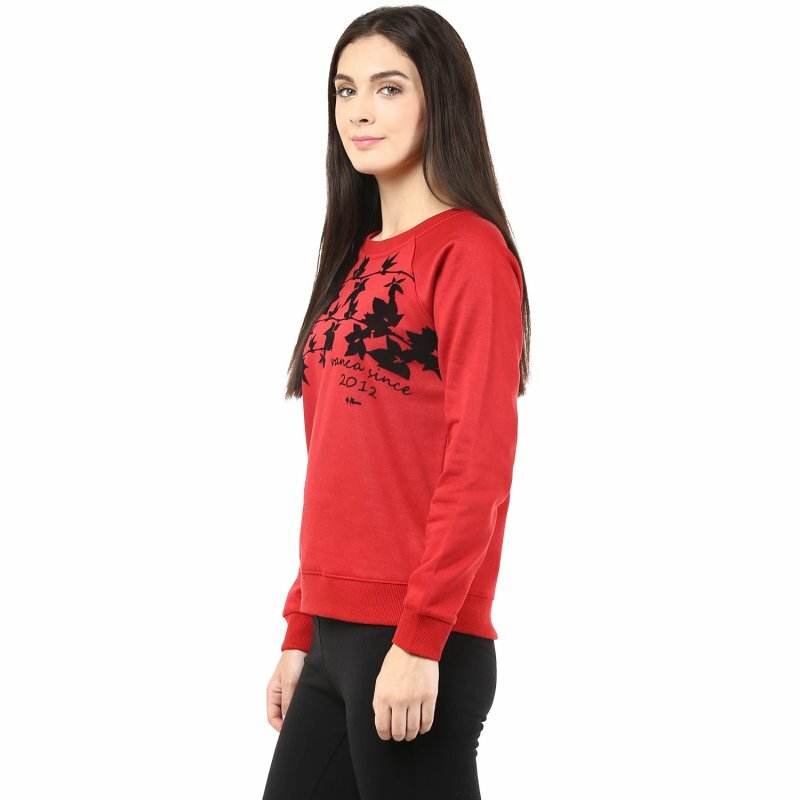 A comfort-driven classic sweatshirt with soft cotton-blend fabric will bring you the best of European inspirations to the Indian market. 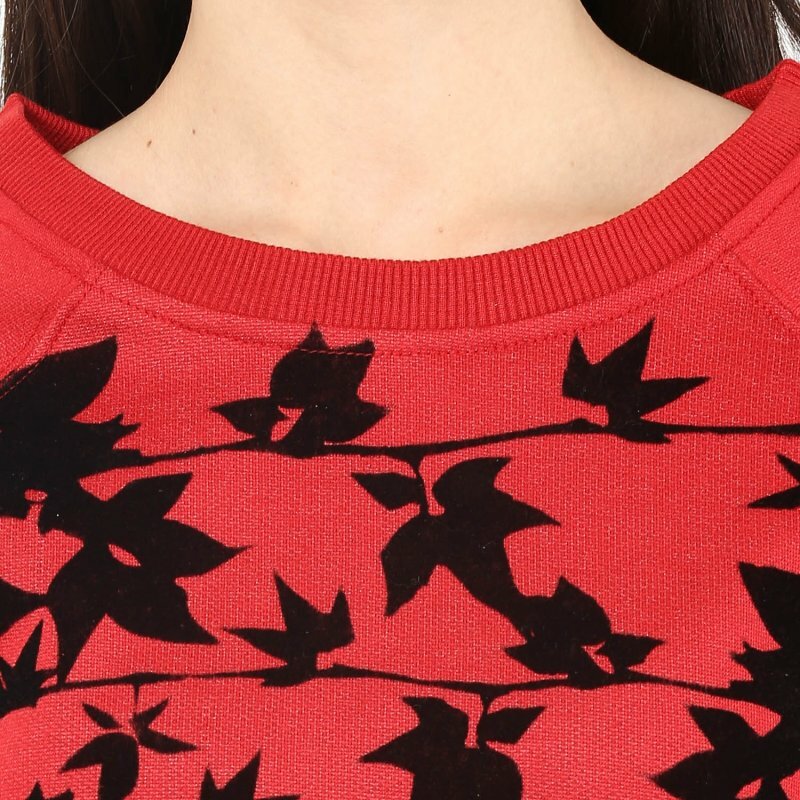 Unbelievable price on Round Neck Sweatshirt In Red Color With Flock Print in Gurgaon (India) company THE VANCA.